At first it appears that Nala the cat wants to be let in, especially since it’s cold out, however this cat doesn’t want to come inside, instead Nala wants her human to come out and play! 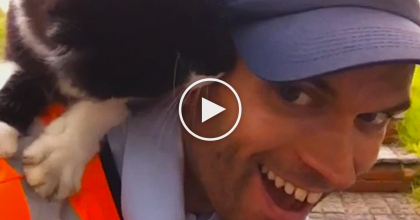 It’s very cute to see, especially when you see that this cat isn’t faking it, she’s REALLY enjoying wintertime! 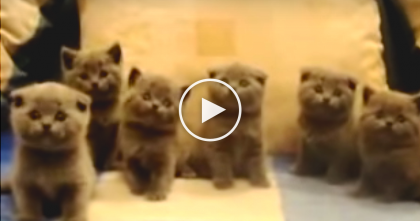 Watch These Kittens Dancing, Their Moves Will Melt Your Heart… SOO Much Cuteness!! 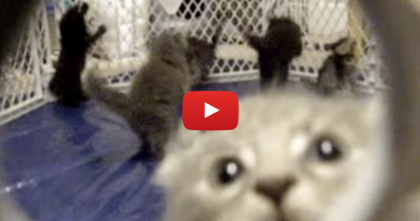 These Kittens Get SOO Excited, They Start Hopping Like Pop Corn… Hilarious!! 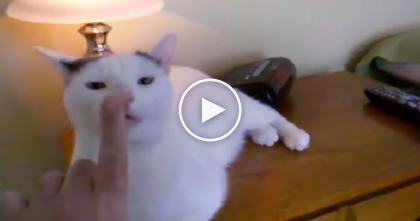 He Touches Kitty On The Nose, But Keep Your Eye On The Lamp… How Does That Happen?! 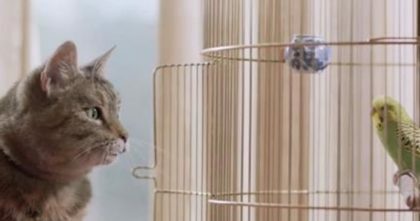 This Cat Walks Up To The Cage, But When You Watch Till The End… This Ad Is GENIUS, Omg! !